With much of the country focused on the threat from Ebola, the outbreak of the rare enterovirus D68 (EV-D68) has been largely overshadowed. While Ebola preparedness is important, providers, including surgery centers that treat pediatric patients, would be wise to develop an EV-D68 preparedness and response plan. According to the Centers for Disease Control and Prevention, from mid-August to October 17, 2014, CDC or state public health laboratories have confirmed a total of 825 people in 46 states and the District of Columbia with respiratory illness caused by EV-D68. 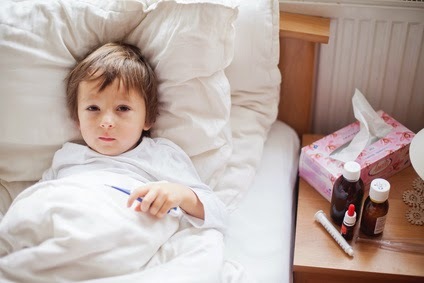 The virus has been linked to the deaths of a number of children, including a four-year-old boy from New Jersey who died between the night of Wednesday, September 24, and the following morning. The child was asymptomatic. EV-D68 can cause mild to severe respiratory illness, including death. Mild symptoms may include fever, runny nose, sneezing, cough, and body and muscle aches, with severe symptoms including wheezing and difficulty breathing. The virus can be found in an infected person's respiratory secretions, such as saliva, nasal mucus, or sputum. EV-D68 likely spreads from person to person when an infected person coughs, sneezes or touches a surface that is then touched by others. Infants, children and teenagers are most likely to get infected with enteroviruses. Adults can become infected with enteroviruses, but they are more likely to have no symptoms or mild symptoms. Children with asthma may have a higher risk for severe respiratory illness caused by EV-D68 infection. EV-D68 can only be diagnosed by doing specific lab tests on specimens from a person's nose and throat. There is no specific treatment for people with respiratory illness caused by EV-D68. Since EV-D68 spreads easily, providers need to be on high alert for symptoms that may indicate a patient has the virus and must have a plan for how to respond quickly and effectively when those symptoms are detected to protect the wellbeing of other patients, their families and staff. If you have questions on how to developer an effective enterovirus preparedness and response plan, contact infection preventionist Phenelle Segal of Infection Control Consulting Services.